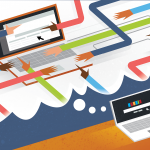 Getting high-quality, high-volume traffic to your website can be a real problem. Most times, you’re facing low website traffic. Your competitors take big chunks of the pie, or market share. You spend more money than you’d like on advertising. You spend more time than you’d like for just a few extra visits. How come my competitors are so successful with their online sales? 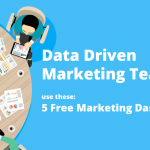 If you’re wondering why your competitors are more successful than you with online sales, it may be that they know a few secrets to turn their website data into extra sales. Most likely, they are improving their sales funnel to simplify every step of their sales cycle, so they can increase their conversion rates. This means that by using real-time data, they can make adjustments in their online sales process, based on what works and what doesn’t work. Pretending it’s hard to analyze or that you don’t have the time to analyze your data isn’t an excuse anymore. 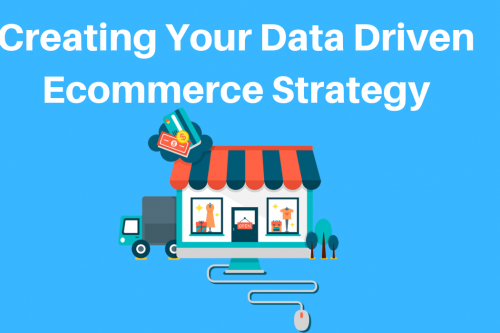 Analyzing your website data will help you optimize your e-commerce marketing activities. 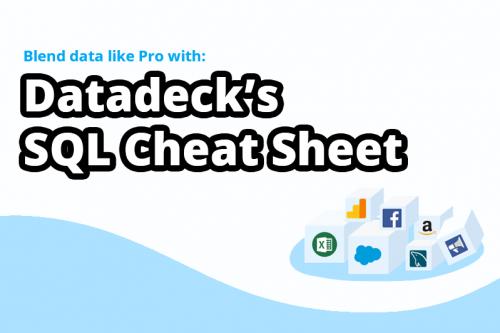 You can use the hack described below for static web pages, landing pages, blog post articles, and sales. Learn how to get more traffic to your website, by finding the GOLDEN keywords that generate a BOOST in traffic, so you can outsell your competitors. 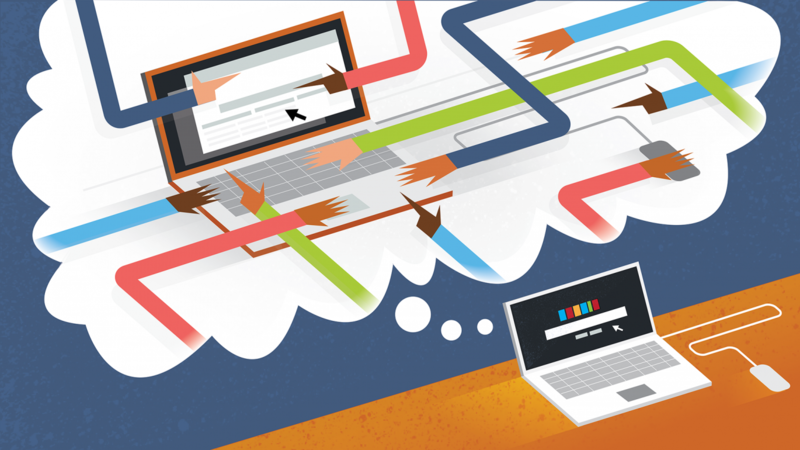 But the question is: how do you optimize your website to generate more traffic and high-quality traffic? The answer? Think like Google. 1.17 billion people use Google. 5.1 billion searches are run in a day. 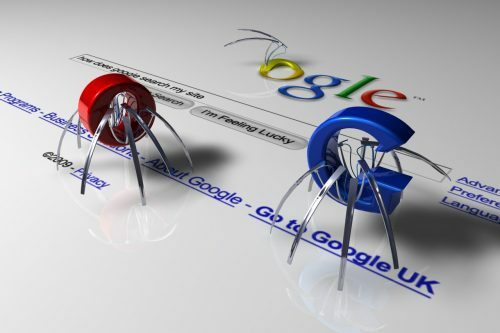 75% of all searches are done using Google. The #1 result gets 20 percent of all traffic. The #2 result gets 11 percent of all traffic. Are you ready to think like Google so you can improve your traffic and potentially double your sales? In this example, I will show you how to optimize your content and help you think like Google. Imagine you own an online bicycle shop and you want to get more people visiting your website. You’ve tried a lot of different techniques to improve your traffic. We can assure you that following the few simple steps demonstrated below will significantly improve the number of visitors to your website. To find out which Internet articles are the most popular, we are going to visit EpicBeat. Epicbeat is a free-to-use platform that shows you which articles are popular and receive tons of shares. We’re going to use Epicbeat to learn from our competitors and successful writers so we can use that information to optimize our own website. So let’s go to EpicBeat. Remember: you’re the bike shop owner, and you want to figure out how to get more traffic to your website. In the results, you can see the number of shares and the total reach this page received. Now, click the article that most resembles your product or service. 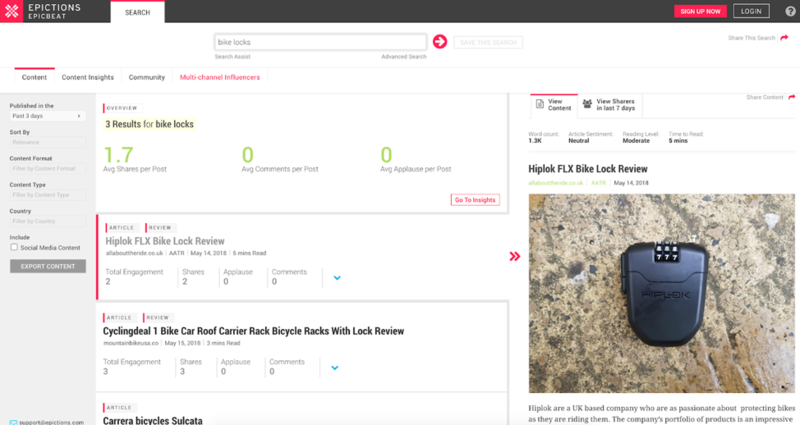 In our case, we want to read the review on the Hiplok FLX, a product that you are selling in your online bike shop. In this step, we read and analyze the article. Let’s try to compare this lock review with our own product page. Here’s a question for you: why is this page getting a better ranking in Google? It’s because the article is written with different paragraphs, headers and subheaders. These contain the critical keywords that Google loves. Let’s analyze this page, OK? There are more keywords, but let’s keep it simple for now. You made a list of keywords. Now we are going to use them in Google Trends. 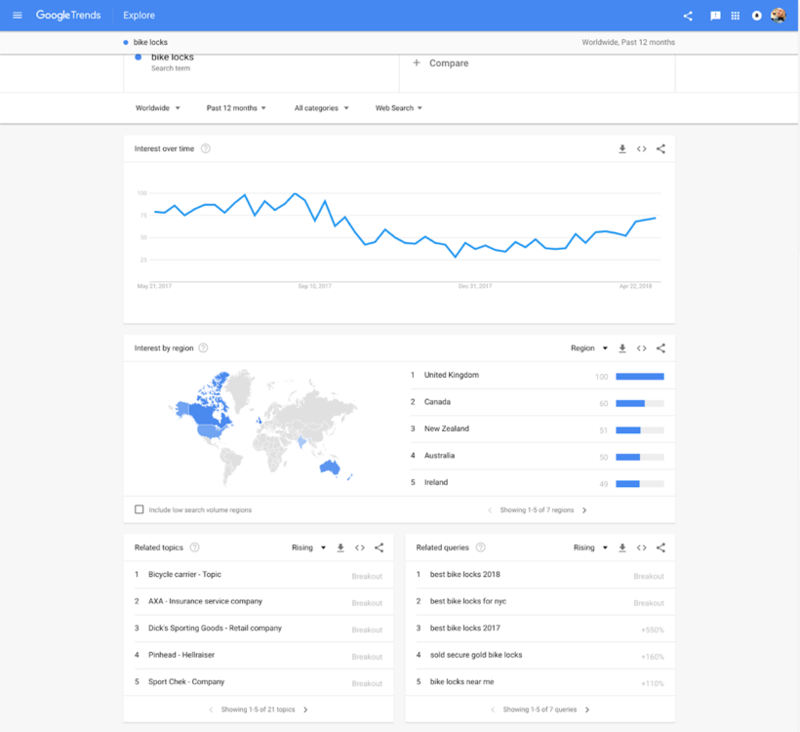 Google Trends is a free tool from Google that shows you the trend of popularity on specific products, services, keywords, or companies. For example, this lets you compare your company to your competitors. It will show you how Google sees your popularity compared to others. Try it now. Let’s go to Google Trends. Now we are going to type in the keywords you found from the bike lock review page—one at a time—and you’ll see the trend for that keyword. As you can see, bike locks are less interesting during the winter months. This makes sense because of the weather. So, perhaps you can come up with some promotions in your web shop during the winter period to boost sales. In the “related queries” box (bottom right), you can find the best and strongest-growing keywords for your website page. You can add a product overview page or a blog article on your web shop that shows an overview with your best-selling “best bike locks for 2018” bike locks. 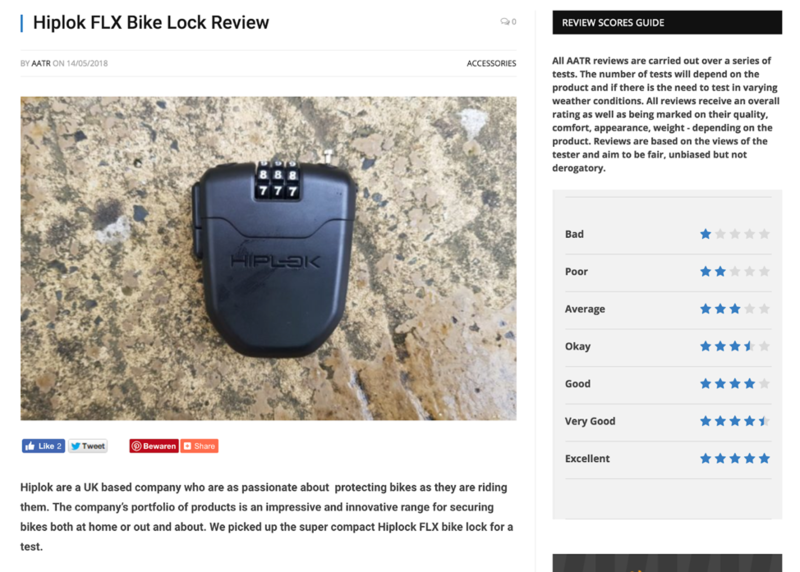 Make sure to add the “Hiplok FLX Bike Lock” that got this good review. We’re confident you will generate high-quality traffic with this technique. A quick side note: if your shop is in New York, add a page with “New York” in the title. If you don’t have a lot of experience with website analytics, we’d love to give you a 90-day free trial on Ptengine. 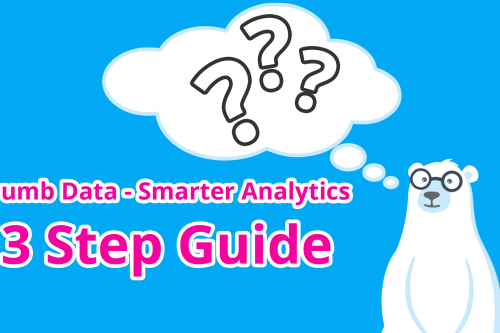 It’s web analytics made “baby easy,” just like our blog articles! This article taught you the four steps to create higher-quality content on your website so you can attract more and better visitors from Google results. 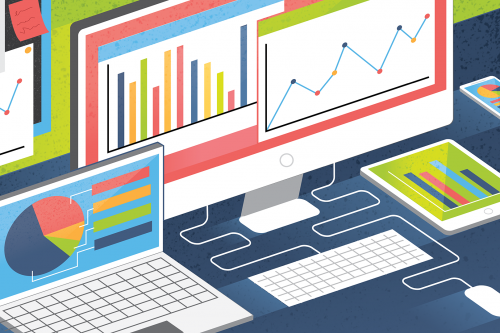 Now that you made it through this article, make sure you analyze your data to improve on what you’ve already created. 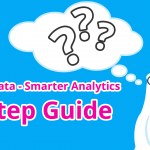 Good luck using our Google methodology, and we hope you have success and fun with this! Now it’s over to you . . .
Share your thoughts and ideas in the comments below—we’d love to hear from you. Increase your conversion ratio now! 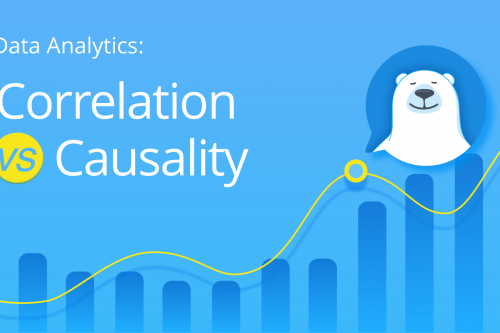 The articles in our blog make it easy to turn hard-to-understand data analytics into user-friendly metrics so you can easily increase your conversion ratio. Thanks mate 😉 Any suggestions for topics you’d like to read?